Stem cells are biological cells found in our bodies. They can divide and differentiate into diverse specialized cell types, and can self-renew to produce more stem cells. The term “stem cell” is actually an overarching term that covers a variety of different types of stem cells. AgeFocus DOES NOT use Embryonic Stem Cells. These cells are collected from an embryo from fertilization of an egg to formation of a fetus (five to six days after fertilization). Because of their ability to grow into any type of cells in the body, ES cells are also called pluripotent stem cells. ES cells may grow infinitely in culture. The establishment and use of human ES cells are associated with bioethical problems. Adult stem cells collected from human tissues are in an undifferentiated state. Found in the bone marrow, blood, cornea and retina in the eyes, liver and skin; adult stem cells are master cells that form individual tissues. There are bone marrow stem cells, hematopoietic stem cells, and mesenchymal stem cells. Autologous adult stem cells do not induce rejection because they are the person’s own stem cells. Stem cells have the potential to recognize tissue injury and repair injured cells. In the right environment, these cells can change (differentiate) into bone, cartilage, muscle, fat, collagen, neural tissue, blood vessels, and even some organs. Stem cells may also affect the healing by secreting special chemical messengers and growth factors that repair damage tissue. Stem cells encompass multipotent cells derived from bone marrow, umbilical cord blood and adipose tissue. Most recent studies have shown that adipose tissue taken from the patient (autologous) are an excellent source of stem cells. The harvesting is simple and the number of stem cells seems to be consistently higher than in bone marrow, and is less affected by age. The image below shows an adipose stem cell. At AgeFocus Medical Management, we incorporate stem cells in our regenerative medicine procedures for our patients. With all the benefits described above that stem cells provide, it’s no wonder why they work so perfectly in medical treatments. Due to their properties to align themselves with existing, damaged cells, stem cells provide capabilities for healing not yet seen by any other medical treatments. 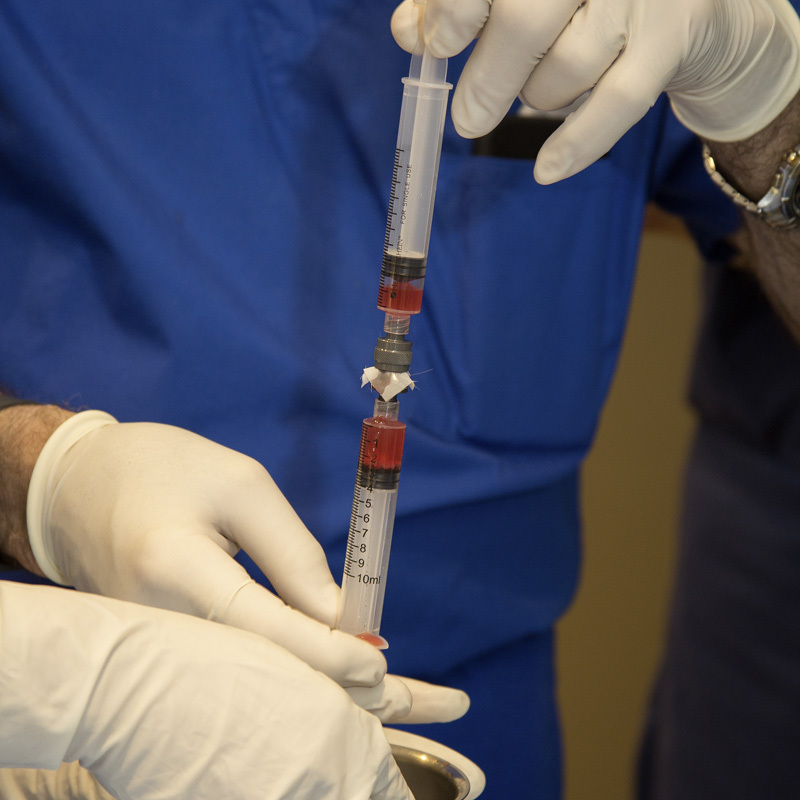 In our regenerative medicine procedures, we help patients alleviate issues like joint pain, tendon damage, arthritis as well as cosmetic needs like hair loss. If you are interested in how our regenerative medicine treatments can help you, we invite you to call us at (631) 243-3628 or fill out our contact form. We look forward to meeting with you and showing how the application of stem cell therapy can help you in your life. At AgeFocus Medical Management, our stem cell harvesting procedure is based on acquiring your naturally produced stem cells and using them in our treatment. We NEVER use embryonic stem cells for our procedures. This is an outpatient procedure, done under local anesthesia. Although AgeFocus has obtained stem cells from both bone marrow and fat tissue throughout the years, the research program in which we are participating exclusively uses autologous (patient’s own) fat-derived stem cells. Recent research has indicated that fat tissue has a greater number of stem cells and is the easiest from which to harvest. Patients are anesthetized locally in the area of the fat harvesting. Although the abdomen is preferred, stem cells can be aspirated from any area where there are localized fat deposits. This 20-30 minute procedure is a mini-liposuction, performed with special equipment to prevent damage to the stem cells, and is done in a closed system to maintain sterility. Then the process to separate stem cells from fat and other tissue starts. During this process, you can relax while our team does all the work. This process in total takes about 90 minutes. The collected fats is put through a centrifuge to spin and separate the fat contents according to density. It is during this process that we can finally receive the pure stem cells derived from the fat content in your body. Once the stem cells have been separated, they are ready for deployment (injection) to the affected area, intravenous (IV) injection, and/or intrathecal injection. The entire process takes about 4 hours.